The first annual AMBOSS National USMLE Step 1 Self-Assessment Week is happening March 30-April 7, 2019! The event is open to all students planning to take Step 1 in 2019. Update: An estimated 10,000+ students from 180 medical schools have already registered for the event, and the numbers only continue to grow! We've decided to extend our deadline to March 29th in order to keep up. Register by March 29, 2019 11:59 PM PST for FREE access! If you’re taking the Step 1 exam this coming spring or summer, now’s the time to get a feel for your progress and course correct as needed. 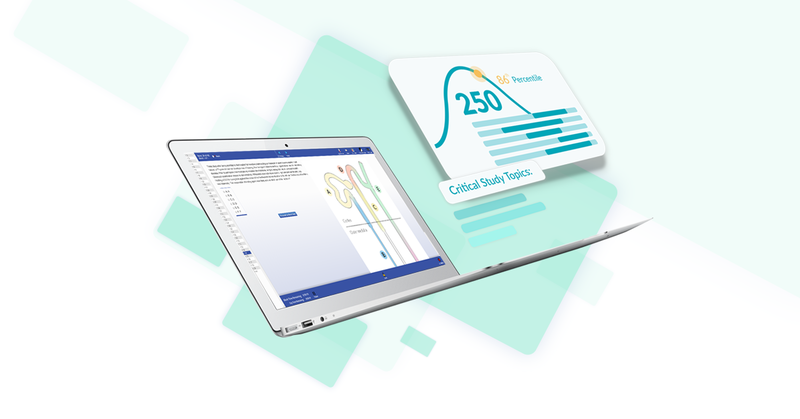 The self-assessment offers a unique way to get acquainted with the exam: It’s made up of 4 question blocks consisting of 40 questions each and faithfully simulates the timed USMLE format you can expect to see on exam day. After completing it, you’ll receive an approximate 3-digit score report and percentile ranking against peers in the current Step 1 cohort, as well as a detailed analysis of your results that includes personalized study recommendations on specific topics (not just general subjects). It’s the Step 1 measuring stick you’ve been looking for. If you’re achieving close to your score goal, you’re on the right track. If you're looking to improve, your personalized study recommendations are there to help you out; they’re so precise you’ll know to focus your time not just on biochemistry, but purines and pyrimidines, Wilson disease and signal transduction, specifically. And there’s no better way to determine the competition than to see where you stand among your own classmates and peers. Register now for the AMBOSS National USMLE Step 1 Self-Assessment Week before it’s too late—you only have until 11:59 PM PST on March 29, 2019! On March 30th, we’ll email you with a special link granting you access to the self-assessment. Results will be sent about two weeks after you complete it. As an added bonus for participating, you’ll also have that entire week to explore AMBOSS if you haven’t had the chance to already. How you score on the USMLE Step 1 will set the tone for much of your medical career, affecting how you choose your specialty as well as which residency program you match into. Make sure you’re prepared!